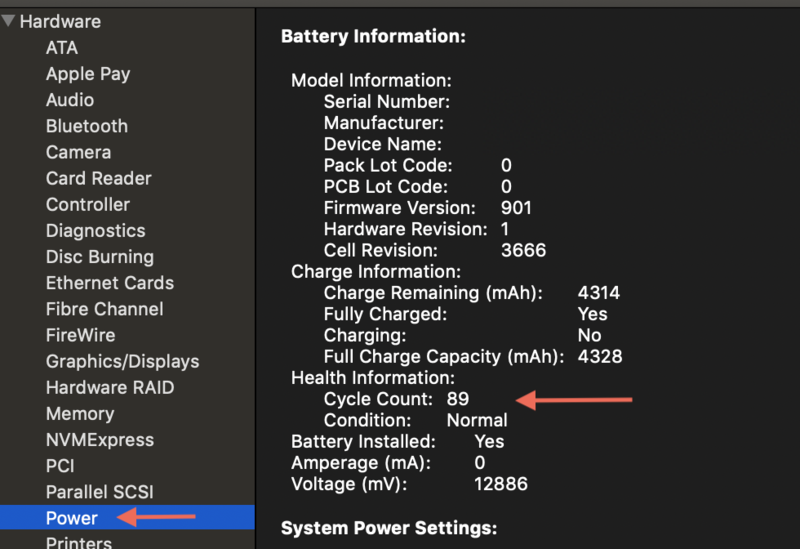 When you use your Mac notebook, its battery goes through charge cycles. A charge cycle happens when you use all of the battery’s power—but that doesn’t necessarily mean a single charge. Batteries have a limited amount of charge cycles before they’re considered to be consumed. Once consumed, a replacement battery is recommended. You can use your battery after it reaches its maximum cycle count, but you might notice a reduction in your battery life. In the next window, on the left side click on power. Then on the right side of the window look for Health Information, and see what your Cycle Count is. 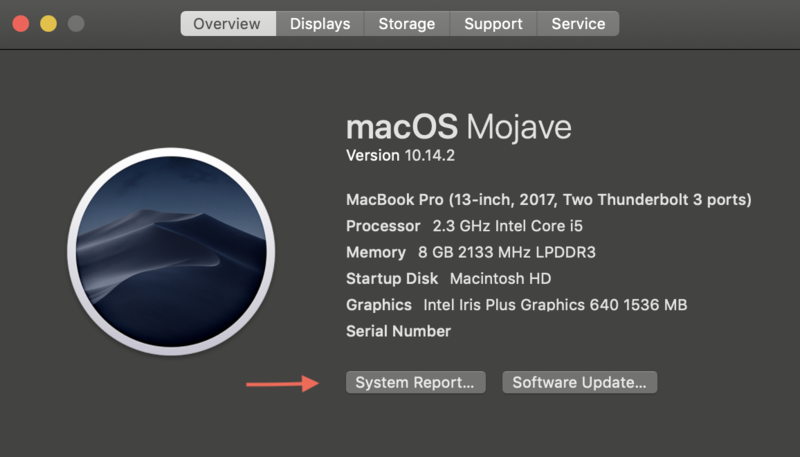 For the majority of current MacBooks, the cycle count mark you need to look out for is a Cycle Count of 1000 or more. Once you reach 1000, you can continue to use your MacBook, but you will notice the battery life get shorter and shorter. It is at this point, that Apple recommends replacing your battery. Note, There are a few exceptions to the 1000 Cycle Count. The MacBooks with the lower counts are 2009 and older models. When the time comes, and your battery is considered consumed, you aren’t required to change the battery. All that reaching battery cycle count means is that you will need to have your charger near you, and you will have less and less time where you wont be plugged in to a power outlet. If you choose to replace your battery, do your research in your area. Not all places charge the same, for the replacement, just make sure you are going to a reputable location for the replacement.